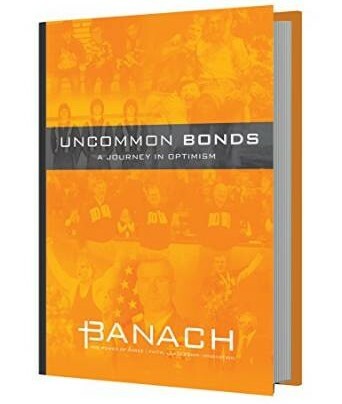 Uncommon Bonds: A Journey in Optimism is an inspiring story of love, faith, strength and determination – and community and country. By sharing the real-life stories of each brother—U.S. 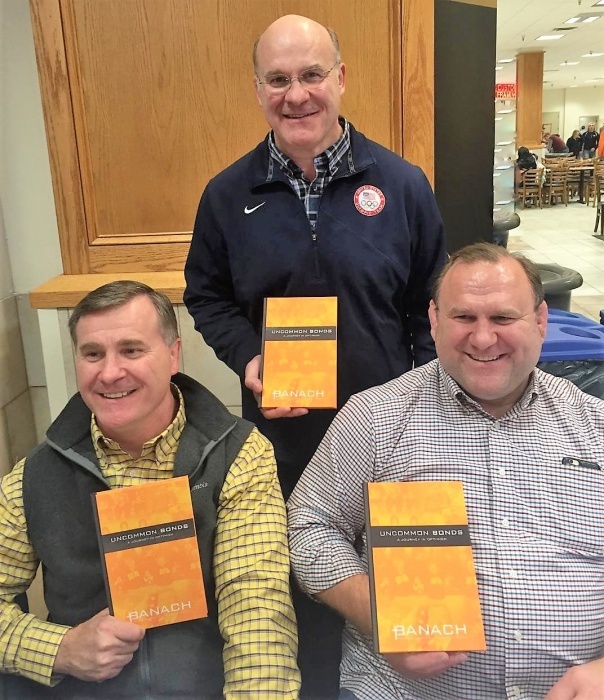 Army Ranger Commander Colonel (Retired) Steve Banach and Olympic gold medalists Ed and Lou Banach—our book focuses on how to overcome daunting challenges and surmount overwhelming odds. Our journey begins in World War II, where our biological parents find forbidden love. Our mother is the daughter of a German farmer and Nazi sympathizer. She falls in love with a Polish prisoner of war who is working on her family farm. The two young lovers refuse to end their relationship, are turned in to the authorities, and dispatched to work and prison camps, respectively. They survive the camps, amazingly find each other after the war, and work their way to New York. They eventually end up with a family of 14 children. In 1963 the Banach family of 16 (the mother, the father, and their 14 children) is torn apart by a house fire, which eventually results in we three boys being placed in the same permanent foster care home after a short separation. Though financially pressed themselves, our foster parents prove to be incredible role models in raising us and provide a stable family setting. This book describes stories from our youth, and our daredevil antics, along with mentorship by some of the best junior high and high school coaches in the United States. We three boys find an outlet through wrestling, becoming top collegiate wrestlers for the legendary wrestling coach Dan Gable at the University of Iowa. Ed and Lou, go on to win gold medals in wrestling in the 1984 Olympics. Older brother, Steve, made the 1984 Final Olympic trials in wrestling and became a U.S. Army Ranger Battalion Commander. Steve would lead the October 19, 2001 parachute attack in Afghanistan as the first publicly released response to the 9/11 attacks. He also led a second Ranger parachute assault into Iraq in March 2003. We three brothers support each other unconditionally. Indeed, our interdependence led to a journey of epic proportions. This story of triumphing over adversity emphasizes the optimism that we can all find within ourselves.